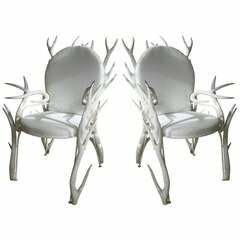 Unusual chair designed by Arthur Court and made in aluminium to represent a traditional chair made from antlers. 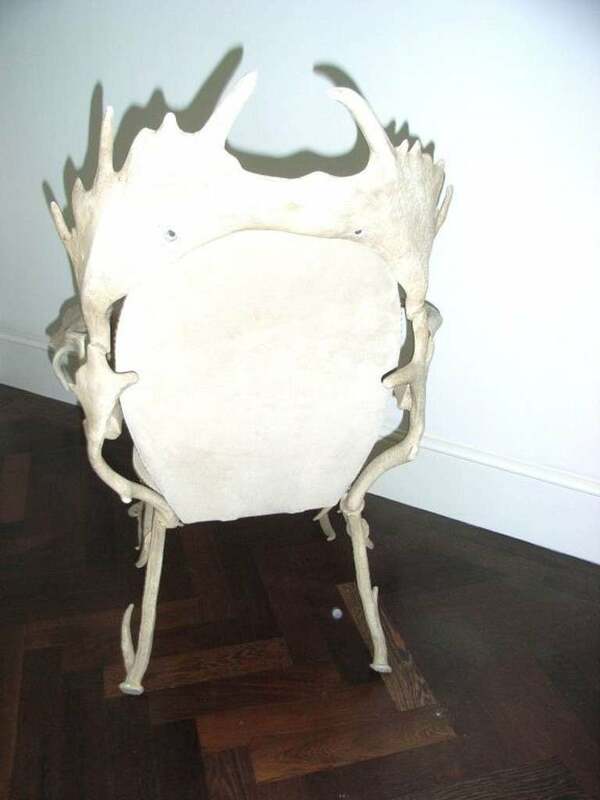 The seat is upholstered in suede. Pair of armchairs with brass legs and shaped back, reupholstered in grey linen. Pair of armchairs model 'Senior' designed by Marco Zanuso and edited by Arflex. 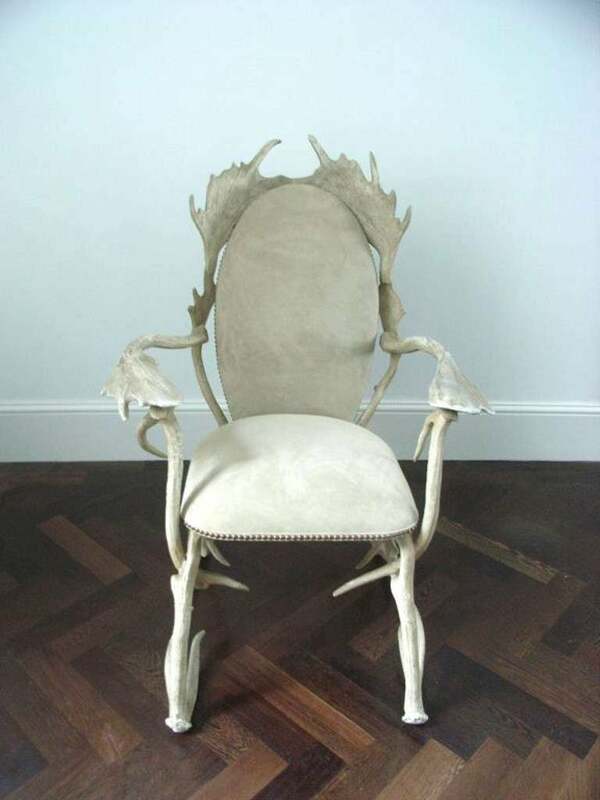 They have been reupholstered in grey wool. 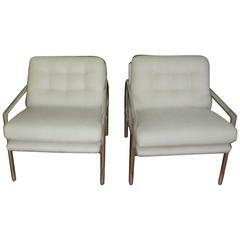 Pair of comfortable armchairs with polished wooden legs, in the manner of Gio Ponti. They have been reupholstered in cotton. 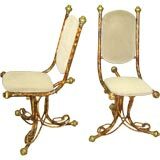 Desk or armchair with brass sabots and decorative detail by the English Architect Dennis Lennon. Reupholstered in black leather. Published in L'Arradamento Moderno 1952, by Aloi. 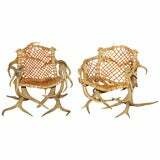 Fabulous Arthur Court signature antler motif, pair of vinyl upholstered aluminum chairs. 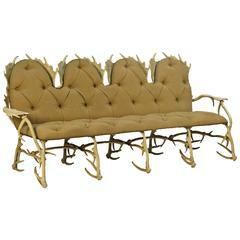 A 1970s vintage Arthur Court aluminum antler settee with painted faux antler finish and tufted possibly original upholstery. A very nice example of Arthur Court's more whimsical design. 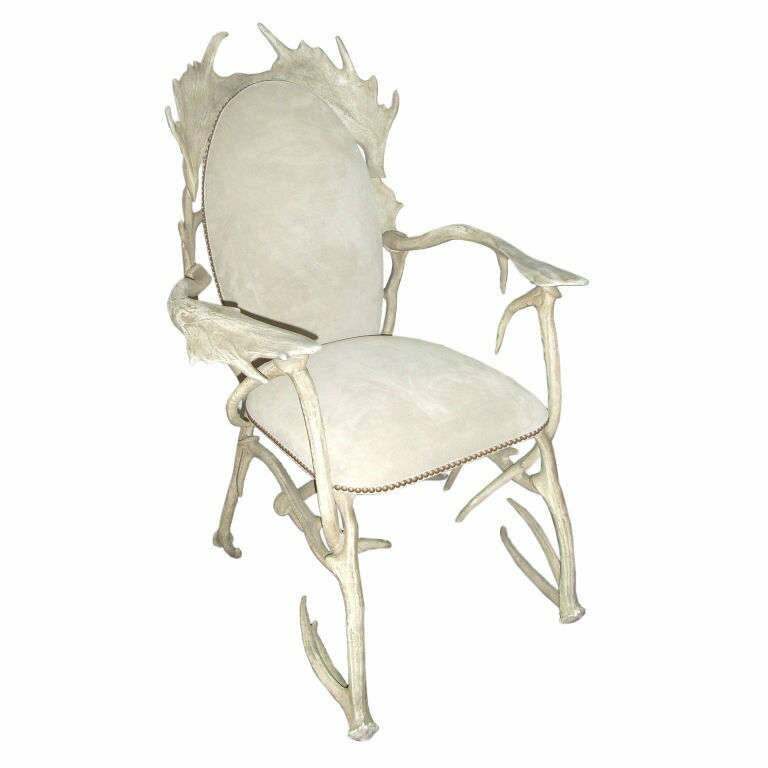 Very sculptural handsome pair of Faux Antler armchairs of carved wood. 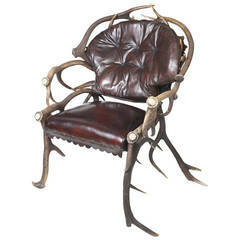 Three antler armchairs with leather strapping, signed. 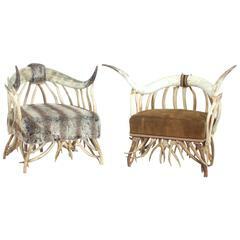 Bizarre but highly decorative pair of chairs in painted steel, brass, wood, with suede upholstery. From the late 1970s or early 1980s, but have a strong 1960s psychedelic look.